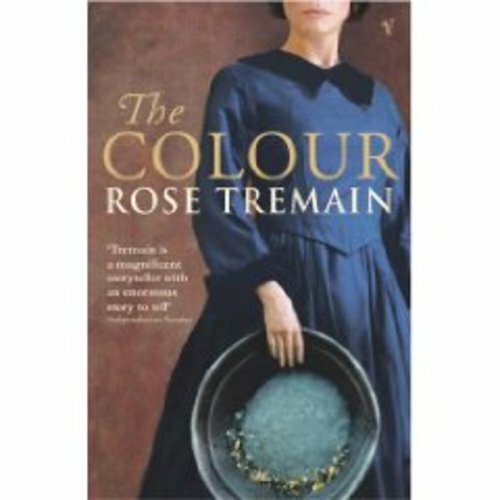 Readers familiar with British writer Tremain's magisterial historical novel, Restoration, or her psychologically acute study of madness, Music & Silence, will not be surprised at the accuracy of historical detail in this elegant and dramatic novel about the mid-19th-century gold rush in New Zealand or by her nuanced portrait of the disintegration of a marriage. Writing at the top of her form, she tells a complex story centering on two immigrants to New Zealand, whose recent marriage represents new hopes for both of them. Joseph Blackstone fled England to rid himself of memories of a shameful act; cold and secretive, he is emotionally constricted by guilt. Strong, spirited ex-governess Harriet Salt has narrowly avoided spinsterdom; to her, New Zealand represents the freedom to explore new horizons. Together with Joseph's mother, they attempt to build a farm on the flats outside of Christchurch, but when Joseph finds gold in the creek, he becomes obsessed by "the colour," as the fabulous metal is known. Abandoning both women, he travels by ship to the west coast, where he encounters hundreds of other desperate men and the clamorous, filthy, dehumanizing conditions in which they live. Later, when Harriet attempts to follow him by land, she cannot cross the gorge between the Southern Alps, justly called "the stairway from hell." By the time she does join him, each of them despises the other, yet the discovery of gold binds them in a new way. From this point on, the narrative, already full of subtleties and surprises, becomes riveting, as nature and human nature collide. There's a wonderful subplot about the mystical connection of a white boy and his Maori nurse, and an inspired depiction of a Chinese gardener who peddles his vegetables and becomes the instrument of Harriet's salvation. With its combination of vivid historical adventure and sensual, late-blooming romance, it's hard to see how this novel can miss winning a new audience for the immensely talented Tremain. ein paar Gebrauchsspuren. Ein paar Knicke und Seiten etwas vergilbt.